Thinking of pre-ordering the upcoming WonFes products like Nendoroid Snow Miku: Magical Snow version or Nendoroid Tomoe Mami: School Uniform version? Well, if you happen to live in USA or Canada, then you are in luck, as GSC has launched a promo campaign, waiving the 2000 Yen shipping fee to that countries if you pre-order select WonFes items at Good Smile Online Shop. In commemoration of our new North American based distribution company ‘ULTRA TOKYO CONNECTION’ being established, we will be waiving the standard ¥2,000 shipping cost on orders of Wonder Festival limited edition products to certain areas in North America. Orders of over ¥10,000 from the GOODSMILE ONLINE SHOP [WONDERFUL HOBBY LIFE FOR YOU!!] to regions in the United States of America and Canada will receive free shipping! 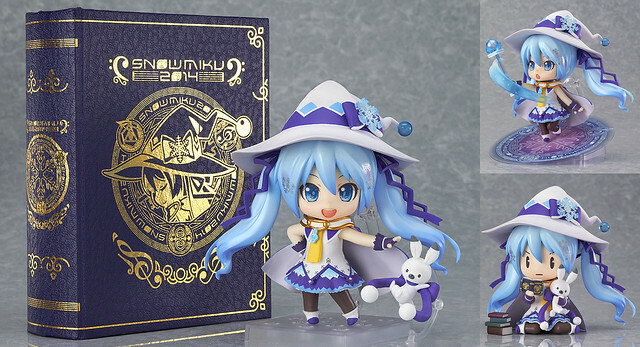 · Nendoroid Snow Miku: Magical Snow Ver. · Nendoroid Mami Tomoe: School Uniform Ver. This entry was posted in News and tagged event, nendoroid, wonfes. Wait, so this is only for “orders of over ¥10,000”? So you have to order at least three items for it to qualify. Damn, I only want the Snow Mikus! That’s usually what I do anyway, but it’d be much less trouble if I could just do it for myself lol. I ordered for me and my friend, but they didn’t take off the shipping charge. So I wonder if they’re going to actually do it or not.